I took these photographs in May 2018 during a Time and Space Residency with UK arts organization, METAL, in Chalkwell, Southend. 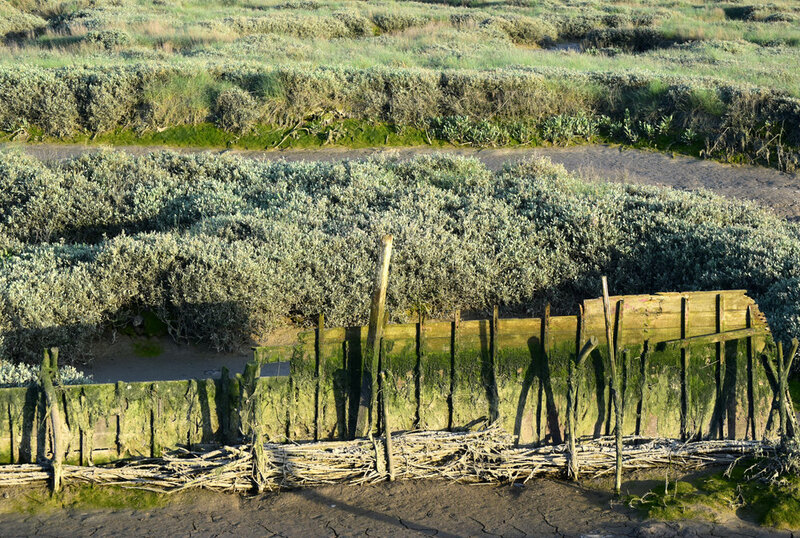 They form part of my research for an international project about vulnerable wetlands and climate change, focusing initially on wetlands in the Thames Estuary. 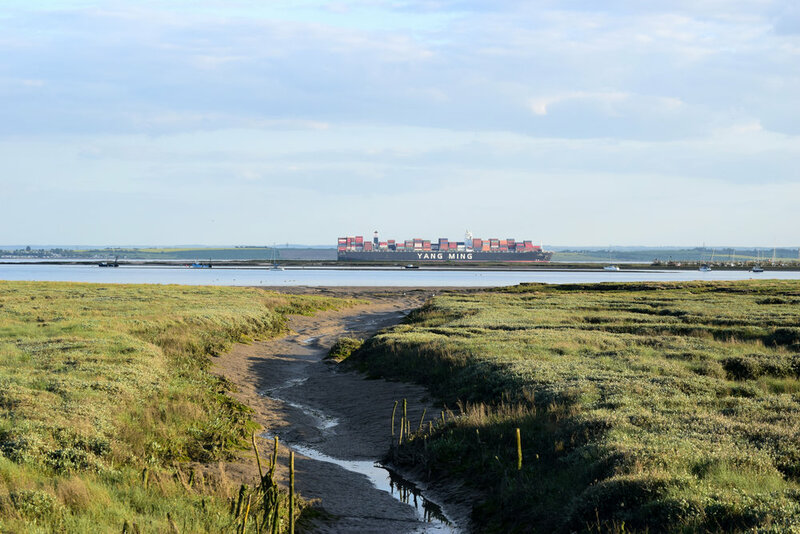 The Essex locations I visited include the Thames Estuary Path between Tilbury and East Tilbury, Two Tree Island (Leigh-on-Sea) and Canvey Island. According to UK and German researchers, up to four-fifths of wetlands worldwide are at risk from rising sea levels caused by climate change. I photographed industrial infrastructure in the Estuary, using it to frame and reflect on the remnants of natural terrains. The entire Estuary landscape, even its seemingly ‘natural’ features, has been shaped by maritime, industrial and military interventions for centuries. The oil and gas, shipping and waste disposal industries continue to impact wetland habitats. I find myself in the ambivalent position of being attracted to residual industrial structures for their visual and formal qualities, while recognizing the ongoing environmental damage these industries cause.